I bought them in bulk one by one. It is difficult to take out, and I feel that the price is high as I put it in bags one by one. I hope to have 50 books or 100 boxes selling. This review is about item#34918405. This review is about item#34918527. Absolutely not at home center. We are very sorry. This review is about item#18597328. 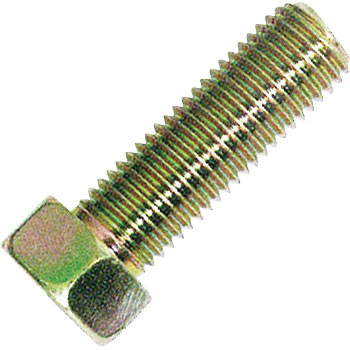 I was looking for bolts with strength marks. It is satisfactory to order the required number. This review is about item#34918466. Mira's disc rotor used for the bolt is also genuine because it is 7 marks so it was saved that equivalent products were sold. I have used it for over 1 year but there is no problem. Handling of the 7-mark bolt is not at the nearest home center, and it is saved because it does not sell roses in the auto parts supplier. It is even better if the flange 7 mark bolt is also handled with roses. This size is not sold to the home center, I am satisfied with the quality. This review is about item#34918484.